Design for this urban residence for an art collector is a study of light qualities and varied edge conditions. 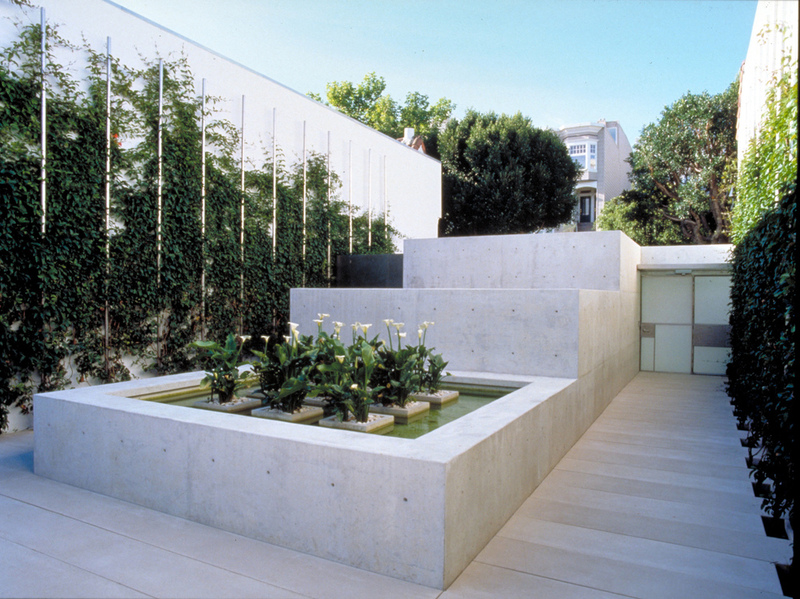 The minimalist garden is largely over structure. Glass scrims manipulate light: half the glass is set over a mirrored surface, while the other half has chalkboard slate behind. 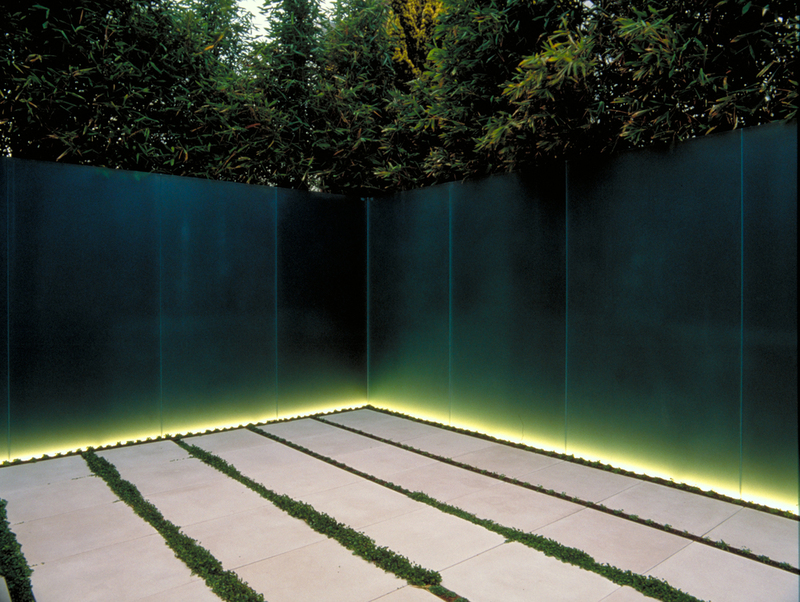 This creates a subtle contrast of reflective and absorptive light qualities in the space.